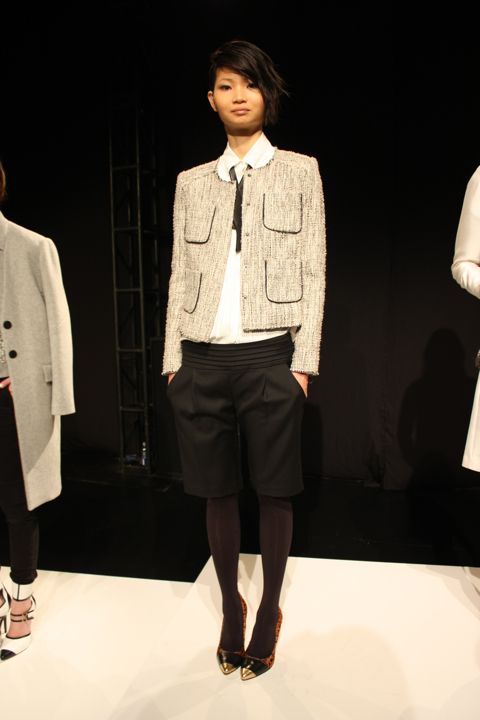 With her debut Spring/Summer 2013 collection I became an instant fan of Marissa Webb. The former VP of womenswear design at J. 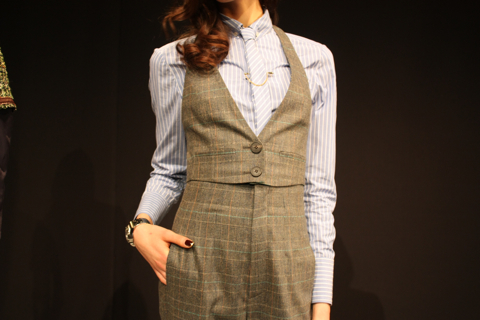 Crew immediately caught my attention with her unexpected color pairings and smartly mixed textures, but it was her obvious talent for menswear-inspired tailoring that sealed the deal. A self-described tomboy, Webb’s premiere offering held the exciting promise of lessons learned at the helm of a major national brand paired with a nuanced, yet ambitious, expression of the designer’s personal aesthetic. The Marissa Webb woman is a city girl who was raised on — and still loves — classic, prep-infused styles, but she isn’t afraid of a little edge. Or a lot of luxe. Needless to say, I was very excited to see the Fall/Winter collection at Lincoln Center and it definitely did not disappoint. The collection was very wearable and smartly tailored, and you can already sense a refining of Webb’s instincts as a solo designer — her keen ability to juxtapose unexpected elements has gotten even better. 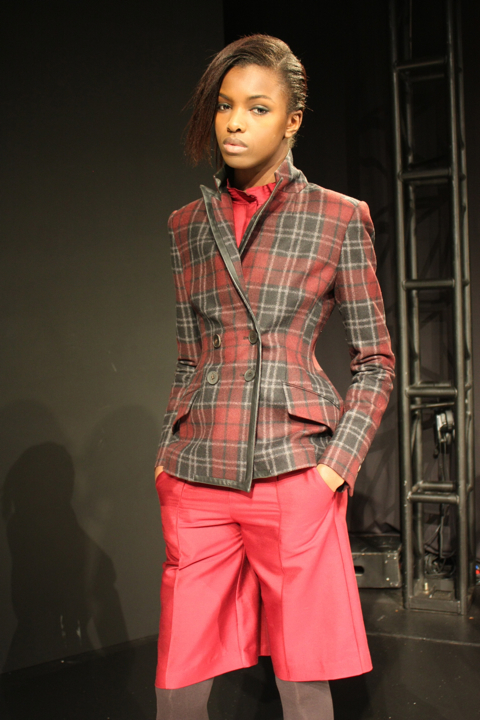 High points included her outerwear and her blazers, both of which masterfully combined traditional textures with modern styles without any preciousness. 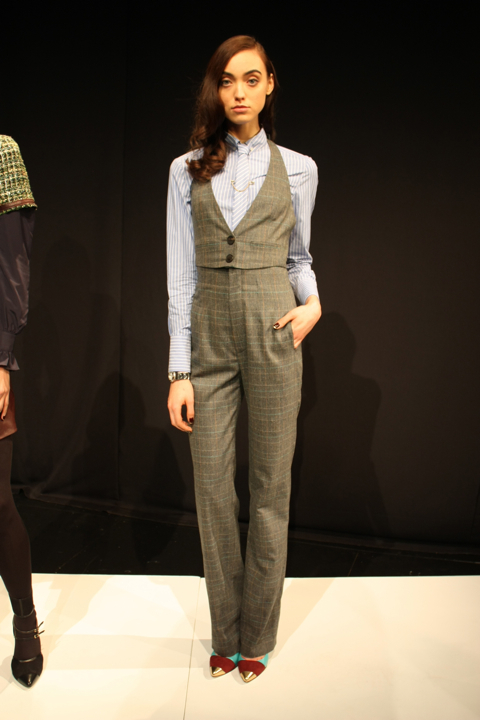 Webb also presented a high-waisted trouser and vest pairing that was remarkable, sort of like a three piece suit minus its jacket, in both windowpane wool and an ivory satin that made my inner Bianca Jagger jump for joy. 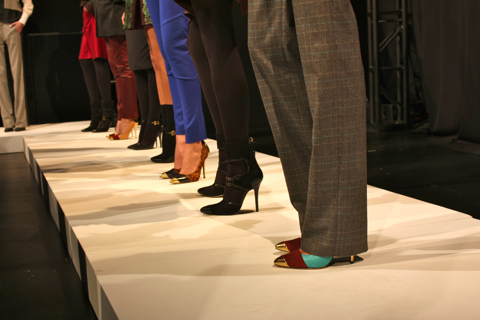 I was also happy to note that Webb decided to move into the realm of accessories, with Fall/Winter marking the debut appearance of an amazing footwear collection. The banded pumps are calling my name rather loudly, can you hear them? With her refreshing take on menswear-inspired style and the freedom to experiment as an independent designer, I am so excited to see how Marissa Webb continues to evolve. I can’t imagine it will be too much longer before she’s everywhere. I’ve also been keeping an eye on stockists since her her debut, and S/S just arrived at Barneys and her own e-commerce should be following soon. 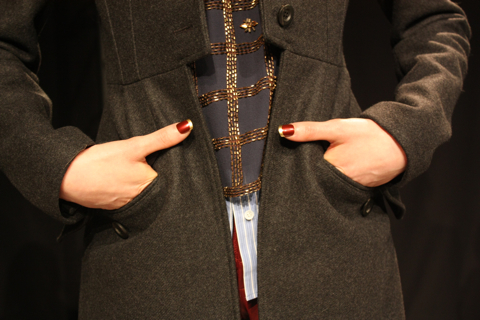 For more information, visit Marissa Webb. 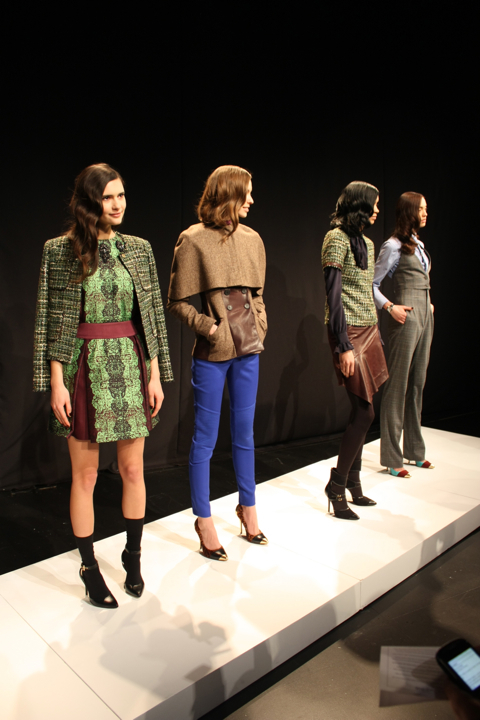 You are currently reading NYFW Recap: Marissa Webb Fall/Winter 2013 at Quite Continental.